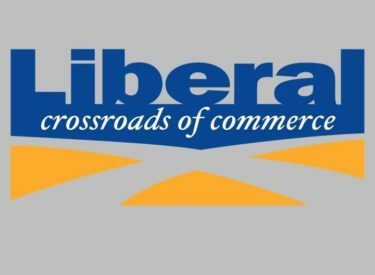 The Liberal City Commission met Tuesday evening an after a Public Hearing, approved Making Certain Findings of Fact with Respect toa Property Tax exemption for KBK Industries LLC. This would bring manufacturing jobs to Liberal. The Commission approved the 2018 Audit Contract with Hay, Rice, and Associates, approved an additional Rural Housing Incentive District in the Arrowhead Lane and Tucker Road area, and approved the allocation of an additional $40,000 for the 1st Time Home Buyers Program. This would help 16 First Time Home Buyers with $2,500 towards the purchase of their home. Commissioners approved the advertising for sale nine lots currently owned by the City, approved the purchase of Click2Gov3 software in the amount of $28,487, and approved the low bid from Abbott Construction in the amount of $75,886 for repairs to Lilac Street. The City Commission entered into a contract with the SCCC Men’s Basketball Team for the rental of the Air Museum for the Tip-Off Dinner. The Contract is for $500 plus Security fees. Jack Carlile was appointed the voting member from the City to the Liberal/Seward County Development Corporation Board.